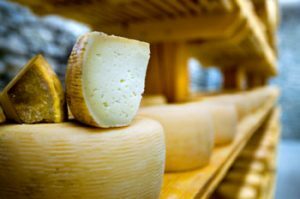 Highly requested by Mrs. ETT, here is Poopsie’s very first post on the blog all about cheese making. Enjoy! Gavin Webber is the YouTuber I used the most. After reading a few books and watching a lot of YouTube videos, I bought the ingredients and tools required to make a batch of feta. I visited Green Living Australia in Brisbane but if you’re not a Brisbane local, you can order supplies from their website. Green Living Australia is who I used to buy all of my supplies. You can visit their store in Brisbane, or order from their website. Now because this is a blog about being frugal, there were a number of things I didn’t buy, that according to some were necessary. I bought what I thought I would definitely need and nothing more. A dairy thermometer – Cheese making is a chemical process that uses live cultures and bacteria, hence the temperature of the milk is pretty crucial. Cheese cloth – I didn’t have anything I could use as a substitute lying around but if you do, then just use that. Consumables – Rennet, Lipase, Salt, Calcium Chloride. Oh and milk. Lots of milk. You can buy a soft cheese kit from Green Living Australia which has everything you need. I didn’t buy one and got the supplies I did need for about $20 less than the kit. Cheese baskets – They do make your cheese a nice square or round shape, where mine was more of a teardrop shape. Most importantly – the taste is exactly the same. Cheese press – This will be a must down the track when I start making hard cheeses. But I have a cunning plan for that which I will come back and share with you (hint: it involves pallets and threaded rod). ‘Cheese salt’ – as far as I’m concerned sodium is sodium, so I got the cheapest non-iodised table salt I could find from the grocery store. Recipe book and instruction guide – YouTube makes everything easy to follow along. 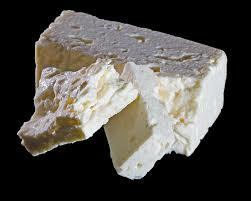 That is all you need to make delicious, preservative free Feta cheese in your own home (well, along with some pots and pans and a cooktop). I didn’t think I’d be writing about my exploits of cheese making, so I didn’t take any photos, you’ll just have to trust me that it looked amazing and tasted likewise. Next time I make some cheese, I will be sure to take photos. They should feature in part two- the process. Have you ever made cheese? How did it turn out? I must admit we’ve never made cheese, but awesome job on doing this 🙂 Looking forward to seeing the finished product in part 2! “Well obviously it’s not meant to be taken literally, it refers to any manufacturers of dairy products”. Congratulations on your first post, Poopsie! (I have used you as an example for Mr. ETT… “see, Poopsie has just written HIS first post”). I know that YouTube, like Google, basically knows all, but I wouldn’t have thought to turn to that to learn about making cheese! I’ll have to check out some videos. Thanks for the post, and like Tristan, I am looking forward to part 2 – yes, please take photos. Also, WTPF just did a post on how much making bread at home saves them money – http://www.whenthepathforks.com/breadmaker-saves-you-dough/ – I wonder if cheesemaking is similar? Cheese can certainly be very expensive.